LEWISTON - Carol Honey LaChance Preo went to be with the Lord and her childhood sweetheart, Bob, on February 4, 2019. 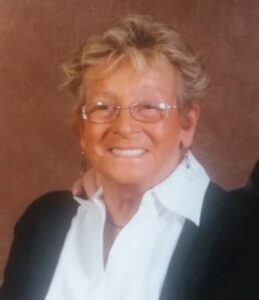 LEWISTON – Carol Honey LaChance Preo went to be with the Lord and her childhood sweetheart, Bob, on February 4, 2019. Carol was born in Lewiston on Nov. 28, 1948 to Arthur LaChance and Ruby Weston. Carol is survived by her children, Lisa and her husband, George Caron of Auburn, Lauri Preo and her partner, Chris Henry of Auburn, Rob and his wife, Darcy Preo of Grand Junction Colo., and Karen Cardona of Jones, Okla; grandchildren, Katelyn Belanger, Kaylin Ordonez, John Kyle, Paula Caron, Amber Landry, Jack Caron, Bianca Dawkin, Avery Preo, Kendrick-Ely Cardona-Preo and Betty Child; great-grandchildren, Jaiden Ordonez, Kelby Grant, Willow Caron, and Aleiyah Ordonez; siblings, Nancy and James Witherell, Tina and Richard Boulet, and Dennis and Alicha LaChance. Carol also has many nieces and nephews. Carol was employed at BIW, Auburn Home For Aged Women, and was a shared living provider through support solution. The greatest love of Carol’s life was her family. She loved arts, crafts and sewing. Along with a little bit of travel. Carol is preceded by three brothers, Authur LaChance Jr., Errol LaChance and Stanley LaChance, three sisters, Linda Doyle, Judith LaChance and Laura LaChance. Services will be held at St. Matthew’s Episcopal Church, 496 Lisbon St., in Lisbon. They will begin at 11 a.m., Saturday February 9, with lunch following, at that same location.